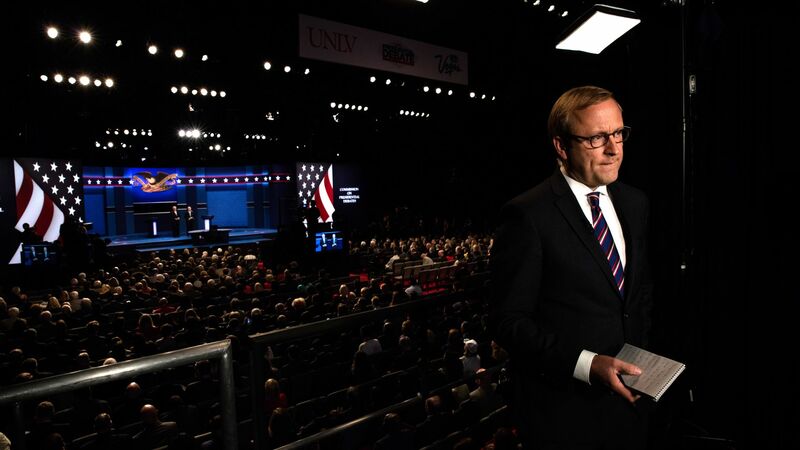 Jonathan Karl, ABC News' chief White House correspondent, is packing a quarter of a century with Trump into his first book, "Front Row at the Trump Show," to be published by Dutton in 2020. The big picture: Karl has covered Trump since 1994, when The Donald gave the New York Post rookie a tour of Trump Tower. He was on the flatbed truck of photographers that precedes the presidential limousine during the inaugural parade, and has been in the White House's literal front row for all 798 days of President Trump. "Front Row" will tell what it's like to question Trump in availabilities around the world, and will describe the vibe of their West Wing close encounters. Flashback ... It was 2013 and Donald Trump was in Iowa, two years before he announced for president. Back then, the idea of Trump as a real candidate seemed far-fetched. But ABC's Jonathan Karl asked him what his slogan would be. Trump replied: "I would say the tagline would be: 'Make America Great Again.' ... Right now, we're a collapsing nation, in so many different ways." Asked one word to describe himself, Trump shot back: "Smart."